No matter how limited your budget might be, you should always try to find a way to put aside money for your future. I know it can be difficult to start investing on a limited budget, but it is possible – you just have to find ways to do it and make it a priority. I spoke with investors everyday who felt that they couldn’t start investing with little money and most often it came back to other choices they were making. Granted, some were truly strapped and had few options but that was not the case for the overwhelming majority. The key to start investing on a limited budget, as it is with most things budgetary related is to look at where your money is going. For many that’s going to mean trying to find ways to save money here and there which will then add up to something you can put into an investment account once per month or quarter. With that in mind, there are two great ways to start investing on a limited budget I’ll cover below. We are in the day and age where companies are no longer providing us pensions and have replaced those with 401(k) plans. The beauty of the 401(k) is your money is taken right out of our paycheck before the tax is even paid on it. What that results in is lowering the amount of taxes coming out of your paycheck as it’s now being directed to your 401(k). I don’t know about you, but I’d much rather have that money in my retirement account as opposed to going to the IRS. The common excuse I heard from many was they could not afford to put money in their 401(k). I understand that fear, but it can be done. If that’s not reason enough, many companies provide a match if you decide to invest – which means they’re giving you free money. Is there any better? The match varies by company, of course, but this is a great way to get started investing on a limited budget as comes directly out of your paycheck and little other work is needed on your part. If your company does not have a 401(k), this does not give you the excuse to throw up your hands and not start investing. There are many other options available to you and they come in the form of a Roth or Traditional IRA. Each of these has their own set of pros and cons and I’ll direct you to the IRS to see what those major differences are. There are going to be different tax implications with each so you’ll want to speak with a tax professional to see what might work best for you. Personally speaking, I tend to go with a Roth IRA as the contributions made are after-tax contributions. What that means for you is that you get no tax benefit now, but when you withdraw at retirement those funds are withdrawn tax fee. That’s not too bad at all in my book. One of the biggest struggles I saw investors deal with was thinking that they couldn’t start investing with little money. That, thankfully, is a myth as many discount brokerages allow you to open a retirement account for as little as $250 or nothing at all. If you don’t have $250 to start with then you can also set aside a certain amount each week or month until you hit that amount. Assuming you do have something to start with, you can open an account with a brokerage like Motif Investing and begin saving for retirement for as little as $250. By starting out with that amount you can build it up to a more sizable amount over time while still putting something away for retirement. There are also many other options to consider, such as Scottrade, which is where I do most of our investing with. Scottrade allows you to open an IRA for as little as $500. That is a common entry requirement for many brokerages, as is $1,000. Another option to keep in mind is if you need or want help managing your investments. It used to be that assistance was only available to those with a lot of money to invest. Thankfully the robo-advisor space changed that for investors with little money. Many robo-advisors, such as Wealthfront, allow you to start investing with as little as $500 and still get the benefits of professional management of your funds. You might think it’s impossible to start investing on a limited budget, even with the different options available. While it can be difficult, it is most certainly possible. You can start by putting away $50 per month until you hit the amount needed to open a brokerage account and use it as a goal to drive you. You can also use funds from a side hustle to fund your investing. The point is there are options available to you if you’re wanting to start investing with little money. 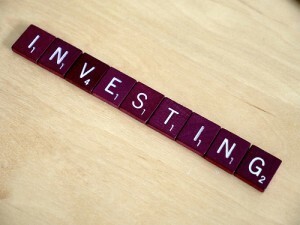 What suggestions do you have for those wanting to start investing on a limited budget? How did you get started when you had little in terms of resources? I think investing is as essential as paying off debt or saving for an “emergency fund” it needs to be that high of a priority…or basically seen as essential. If work gives you free money then take it. If you don’t get a match or you are on your own with work then save until you can open a basic investment account. My problem wasn’t having the money it was not having family or others invested or teaching me about it. I learned about it on my own and caught up on things, but I wish I had some education early on, then it wouldn’t have been such a big deal because I would have learned early in life that this is absolutely essential to wealth growth. I could not agree more Lance. Sadly though, many don’t feel that way. Kudos to you for taking the initiative yourself and getting started. Far too many don’t do that and they pay for it in the long run. When I had my practice, it was like pulling teeth sometimes to get employees to sign up for the company plan, even though they got a 3% match. It was usually something like, “I will after the holidays or after xyz is paid off” and some of them never did. The ones I could convince really never missed that 3% and no one ever went back and stopped after signing up because it made them broke. 3% is probably not enough, but it’s a good start and I bet most people would not even notice after the tax benefits. I did that for years and wish I’d bumped it up sooner. Now, my philosophy is if it doesn’t hurt a little bit, you probably aren’t saving or investing enough. I heard the same thing when I was at the brokerage and always saddened me so I can only imagine if you’re the one providing the match. I LOVE that philosophy btw! If you have a 401k, it is the best way to save with a limited budget. I know many co-workers who said they couldn’t afford it, but it was tax free and honestly a small percentage contribution will have very little impact on your paycheck. Not getting the match drives me crazy…that’s like throwing away free money. I would agree Andrew. There are just too many benefits not to do it. Years ago I was one of those people who didn’t take the free money and it still kills me to this day. At any rate, when it’s free money and all you need to do is save some of your own to get it it only makes sense to take it. I started out investing $20/paycheck in my 401k after college. Then I put $50 a month into an IRA. As time went on and I made more money, I increased my 401k and IRA contributions. It wasn’t much at the time, but over time, it has grown into a sizable nest egg.